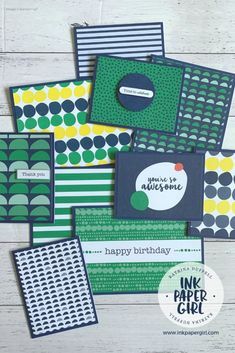 Happy – Enamel Shapes Card – Stampin’ Up! I was putting things away & cleaning up from a recent Scrap’n’Chat night & picked up a packet of Enamel Shapes from Stampin’ Up!. I adore Enamel Shapes …..BIG TIME! They are quick & easy to use & add an extra level of interest to a card or memory keeping page (scrapbook page). So I had a brainwave & the result was this fun, simple & bright card! Enamel shapes are ON SALE this coming Monday at Stampin’ Up! 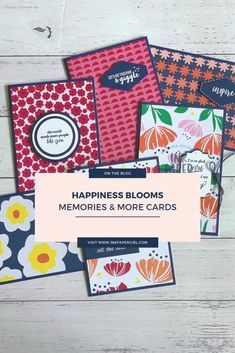 Simply go online to the Stampin’ Up! website on Monday 21st November (anytime after midnight is fine, especially if you’re a bit of a night owl) & place an order for the Enamel Shapes Bundle….This is special one time only deal! AND it’s only available on Monday 21st November, while supplies last. This is so fun and clever! I am a big fan of enamel dots, too. 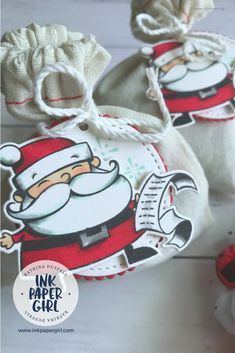 This is a great way to use up extras and make a cute card!